..Watch This New Device Print Using Sound Waves… – A Nibble – A Bite – or a Meal! In acoustophoretic printing, sound waves generate a controllable force that pulls each droplet off of the nozzle when it reaches a specific size and ejects it towards the printing target. It was in 1726 that Sir Isaac Newton first shared the tale of how he once sat beneath an apple tree pondering why the fruit fell straight to the ground. The physicist said that these trunk-side meditations are what previously led him to posit the theory of gravity in 1687. Some even exaggerated the story to suggest the idea struck him literally in the form of an apple to the head. However, we don’t often wait for an apple to fall from a branch to seize it. We instead pluck it ourselves—an easy task when the object is solid. When dealing with liquids, and trying to produce droplets, we are still at the mercy of gravity. You only have to self-administer eye drops, using a pipette that comes with a store-bought vial, once to know how hard it is to harness the powers of gravity in your favor and guide precise droplets according to the dosage onto your pried-open eyeball. The current machinery used to inject liquids into pill capsules is similarly limited by the force of gravity, as is the mechanism inside a printer that spits ink onto a piece of paper or even nozzles that dispense the liquified ingredients to make candy. However, if one can defy the force that keeps us all grounded, a whole realm of possibility opens up—especially in the burgeoning field of additive manufacturing, where technology is being used to construct three-dimensional objects one fine layer at a time. Researchers at Harvard University report today in Science Advances that they have developed a new technique that uses sound waves to control the printing of droplets on demand, no matter the liquid’s viscosity. Perhaps not unlike Newton himself, the study’s lead author Daniele Foresti, an applied physicist at Harvard, was working on unrelated research in his lab, using acoustic levitation to suspend things like coffee granules, water and even toothpicks in air, when the idea to apply what he was doing to printing hit him. He was able to put his vision to the test when he became a postdoctoral fellow in the labdirected by Jennifer Lewis, a materials scientist at Harvard and a co-author on the study who specializes in 3D printing. Typical inkjet printers create images using tiny droplets of ink, but the type of ink that’s used has to fit into a sweet spot of viscosity—roughly 10 times more viscous than water— to flow easily enough to form droplets quickly and drip downward with the help of gravity. But what if you want to have more command over thicker fluids, researchers wondered. Sometimes sugar-based biopolymers, as sticky as honey—we’re talking 25,000 times more viscous than water—are used in the making of biopharmaceuticals. With this aim in mind, the team created a tool called the subWAVE, or subwavelength acoustophoretic voxel ejector, which is a fancy scientific name for a tiny device with a cylindrical chamber wherein a super-confined acoustic field creates a pulling force 100 times stronger than gravity at the tip of a small printer nozzle. Liquid descends down the nozzle and as it reaches the tip, a droplet begins to grow. You can observe this happening when you ever-so-slightly turn your faucet on and watch the drips grow before plunging toward the bottom of the sink. 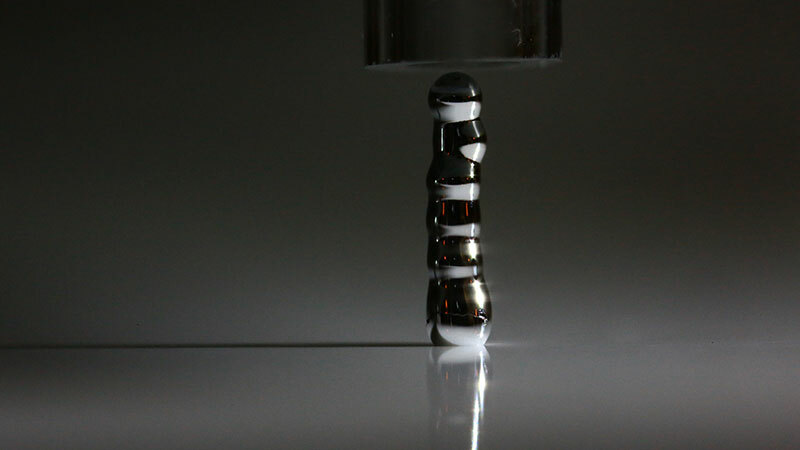 Right when the droplet reaches the desired size, controlled sound waves are administered filling the chamber with such intensity that the droplet is plucked right off the rod’s tip—just like “an apple off a tree,” says Lewis—and safely guided to the material below where it needs to be printed or injected. 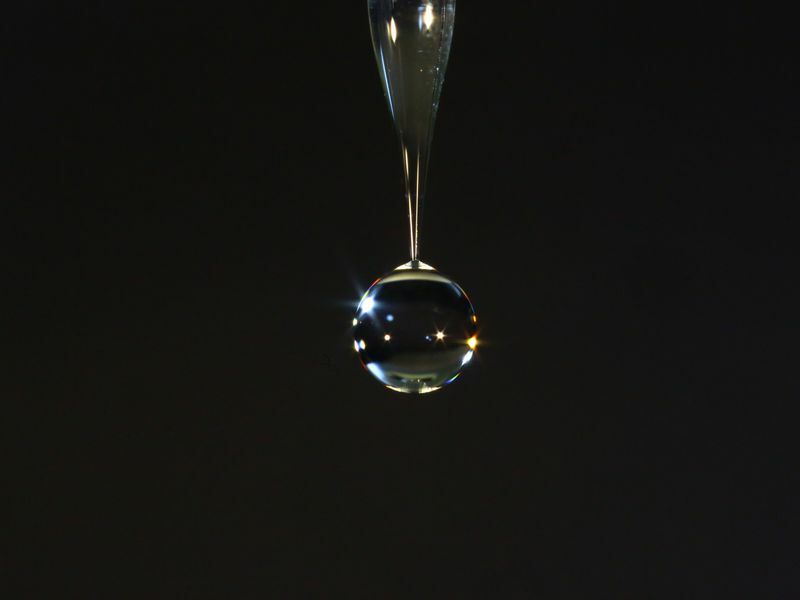 “The use of acoustic radiation to force drops out of a nozzle is new and very cool,” says Bruce Drinkwater, an ultrasonic engineer at the University of Bristol who was not involved in the research. When relying on plain old gravity to move precise droplets to exact locations, the viscosity or flow of the liquid complicates the task. But when gravity is negated, viscosity doesn’t matter so much. The team was able to use this technology to “print” drops of a wide range of liquids, from liquid metal to resin used to make tiny camera lenses to stem cell fluid. While the researchers believe the technology could be used in a variety of fields, it is particularly exciting for the pharmaceutical industry, and the developing field of biologics, which involves delivering sensitive and highly concentrated cell material to patients to treat diseases. Because sound doesn’t easily permeate liquids, the delicate cell material could be transferred safely using this new technique, says Lewis. “What makes it a very significant piece of work is that it is more or less independent of the liquid being printed, which expands the range of materials that can be printed,” says Drinkwater. 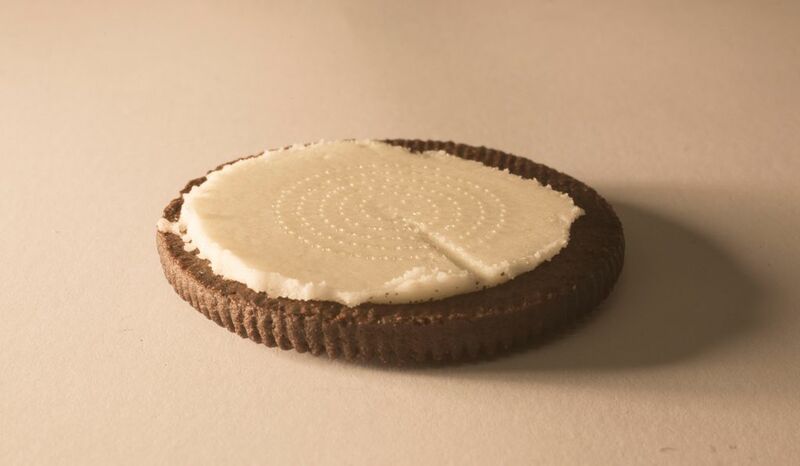 They even printed droplets of honey onto an Oreo cookie.